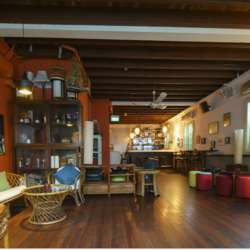 We will be "liming" (hanging out with friends) in this charming heritage shop-house in the heart of Chinatown, enjoying a tropical evening with a laid-back cosy Caribbean vibe. Bar food is available for InterNations members. Don't miss the lucky draw prizes: bring your name cards. Feel also free to bring your friends and colleagues along, but please invite them to join InterNations first. The more the merrier!! !